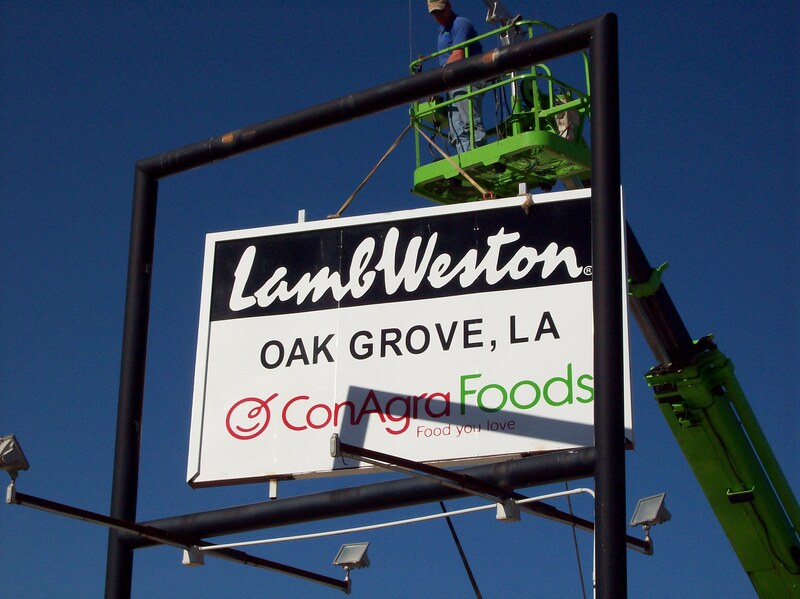 — West Carroll Parish is already reaping the benefits of ConAgra Foods Lamb Weston Sweet Potato Fries plant in Delhi as it has located its Ag Services Division in the former Oak Grove Produce plant located just north of Oak Grove on State Highway 17. Approximately 35 people mainly from West Carroll and Morehouse Parishes are employed by the Ag Services division in Oak Grove. Lamb Weston stores its produce purchases from both local growers and growers outside of its geographical region at its Oak Grove plant, and it is also the home base for its trucking fleet. They also handle all other Ag Services for the local sweet potato community. For more information visit lambweston.com. This entry was posted in Uncategorized and tagged ConAgra, Oak Grove, Sweet Potato. Bookmark the permalink.